Ziploc Containers with One Press Seal and space-saving design! Designed to snap closed with one simple press on the lid, these containers also save space in your cabinets and your fridge. Wide rim, finger grips, and a ridged lid make handling easyUse as directed in microwave, freezer and dishwasherMeasurement lines on containers for exact portion size Ziploc Containers with One Press Seal and space-saving design! Designed to snap closed with one simple press on the lid, these containers also save space in your cabinets and your fridge. I bought two packs of these and one pack of the Medium Square containers to replace my old Ziploc containers, when I found they were a different size and shape and wouldn't stack with my old ones. I've had them about a week and in that time we have managed to crack three of the lids just by pulling the lid off the container! They are very flimsy compared to the old containers, which lasted me years. Very disappointed that I have already recycled my old containers. I plan to recycle these and buy a different brand, these were a waste of money. Corner snapped of 2 of these our first use. 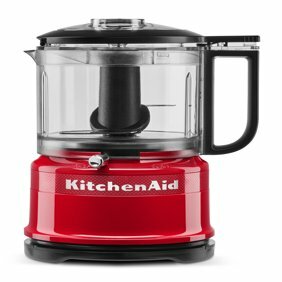 My husband and I both used one of these on the same day for lunches. He texted me saying the corner broke off trying to get into. I thought it was weird and then it happened to me too. I had to pry the lid off and damaged the lid even more trying to get into my lunch. I won't be buying these again. I recently bought a new set of these containers. I had used the old ones in several sizes for quite some time. I did not like having to change to all new ones, but I couldn't get the ones that matched the ones I had anymore. The new plastic that is used for the lid is not durable at all. I broke the first one and now a second one. I will be looking for a new brand now as without the lids they do me no good. I have always had best of luck with Ziploc products, but this one must have a design flaw. Love their shape, but on first use ...when opening ... the lids crack. Hoped it was the first one, and maybe it was cracked to begin with ...but second and third ones did same thing. Like a lot of the other reviewers on here, I am unsatisfied with the dimensions available in your new products. Many years ago you sold a container that was 5.5" x 5.5" x 2" tall. It was perfect for one meal-sized serving of stew or chili and had the added bonus of being able to be stacked 3 high and two side-by-side in a standard 6" high x 12" wide freezer shelf. It also had the ideal dimensions to fit a Ramen noodle square without having to breaking it up or add too much water. Is it too much to ask to get Ziploc to bring back the 5.5 x 5.5 x 2", 2.5 cup container? You have a lot of people clamoring for it, and they would likely sell like hot-cakes. But, what do I know--I'm just a customer. I've had the older version of this product and it worked just fine. I recently purchased a 4 pack of this new version and already broke all 4 lids the first time I tried to use the, Once they're close, the tab in the corner that is used to pen it will crack and break the lid. The first time I used this product it closed easily and I could see it was sealed. The first time I tried to open the product after storing some food in it, the tab for lifting the lid broke and splintered along the edges of the seal. I was displeased. On my, do not toss your old Ziploc containers. I am very disappointed with this new product. I went to replace some of my old Ziploc containers and found that this new sizing is completely different. The new Ziploc containers are of way inferior quality from the Ziploc containers that we loved. The tabs where one opens the containers break immediately. So disappointing. I'm sorry to hear about your recent experiences, Vicki. Quality remains at the heart of our company, and (as you know) Ziploc® Containers are designed to be durable. We hope to restore your confidence and invite you to call 1-800-558-5252. Our hours are Monday through Friday from 8 AM to 6 PM (CST), or send a quick email through the "Contact Us" link on Ziploc.com. Please mention reference number: 017141652A. I have been using ziplock containers for over 10 years. I loved them. The were the perfect sizes - large rectangular were my favourite. They stacked very well and they were strong and durable. I am so disappointed with the new style. The sizes are not useful and the quality is very poor - plastic is flimsy compared to the old version and other comparable brands. I am trying to find another replacement brand. The new shape is stupid. Bring back the old shape. The old shape held 2.5 cups and stacked perfectly without falling over. New shape holds less and they don't stack very well - the raised squares in the lids make them fall over. Also, the width was just the right size that I could stack two columns of these containers side by side in my upright freezer and there was an inch of space left over on one side. I could stack two columns of 4 containers each (8 containers total) in the back of one shelf and then two more columns of 4 containers each (8 containers total) in front of those columns. One shelf in my freezer can hold 16 containers of the old shape. The new shape is too wide and I can't fit as many containers in my freezer as I used to. This is dumb. Bring back the old shape with the indented lids that were actually stackable.